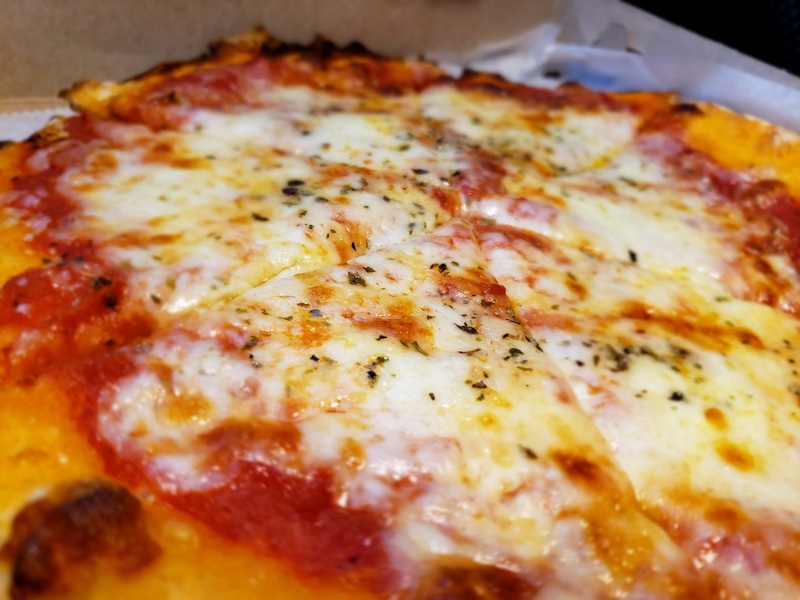 There are a ton of amazing pizzerias in NEPA and some high concentrations of wonderful pies in certain towns, but I'm going on record to say that one of the best streets for pizza in the 570 is Wyoming Avenue in Exeter/Pittston/Wyoming. 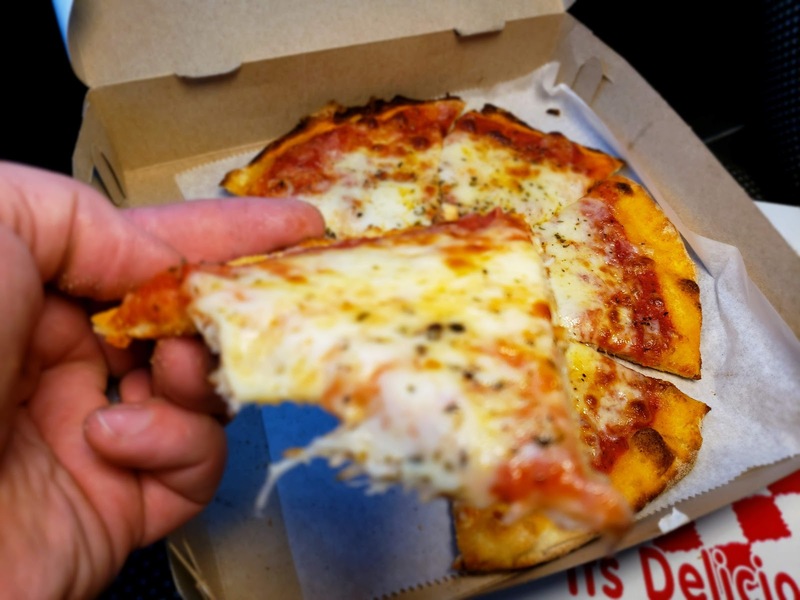 Some might argue that Main Avenue in Old Forge is the best street and have a valid point, but you can drive a 3-5 mile stretch of the Ave and easily pass by 15 pizzerias. Some of the heavyweights on this street include Sabatini's and Pizza L'oven, but there are many more including the site of my latest review - Mariano's La Puccia. Mariano's is a small Italian restaurant just across the street from Jannuzzi's - yep, another pizzeria! They are known for their "La Puccia" as demonstrated in the window emblazoned with "Home of the Authentic La Puccia" decals. What exactly is a puccia? 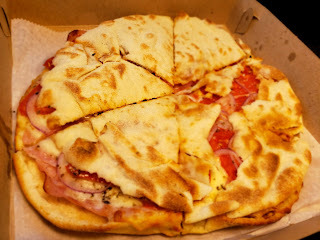 Essentially, it is a small flatbread, made from a dough very similar to pizza dough. The flatbread is stuffed with any number of different condiments. Pugila and Culture says that Puccia can be stuffed with tuna, provolone cheese, capers, anchovies, or tomatoes, but Mariano's offers a myriad of options to stuff your puccia with. Puccia originates from the Salento area of Italy, both in the province of Brindisi and Lecce. They are also common in the province of Foggia where they are called "paposc." So now that we have a little backdrop on what a puccia is - on to the review! Mariano's offers 27 different types of la puccia stuffed with ingredients ranging from Italian meats, vegetables, tuna, and even cheesesteak. Every single one of the twenty-seven sounded tremendous, but I stuck with my usual pizza formula of ordering from the top left of the menu, which usually contains the most popular item. I went with the #1 - Ham, salami, provolone, tomatoes, and onion. The anticipation of trying this unique item that has taken me this long to try was killing me! I entered the restaurant to find a small, quaint dining area with a few tables scattered around and a friendly person to greet me at the counter. I paid for my order of a puccia and a small pizza, known as the #40 pie and headed to the vehicle to try it. To cleanse my pallet, I started with the pizza, which was small, thin, and crunchy. The crust seemed to be dusted with perhaps a finely ground cornmeal or something similar, which gave it a pretty unique flavor. It reminded me of a cracker crust which is popular in the back mountain area of Luzerne County. The sauce was quite hearty and robust - sort of like a marinara sauce, and it was clearly my part of the pie. I wasn't sure exactly what cheese blend the pizza was topped with, but it tasted like a standard mozzarella or mozz/cheddar blend. A little sprinkle of seasoning completed the flavorful tray. Overall, I thought the pizza was pretty good, and I was left wondering what the difference in flavor and texture would have been if I ordered a large pizza. After clearing the decks for the puccia it was finally time to dig in and oh my word was this worth the wait! 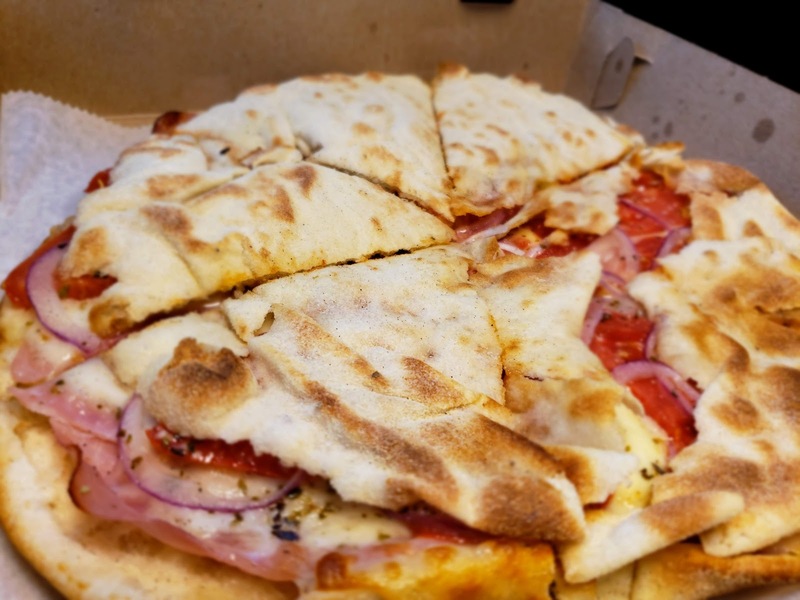 The puccia was 50% pizza, 50% panini, and 100% delicious. 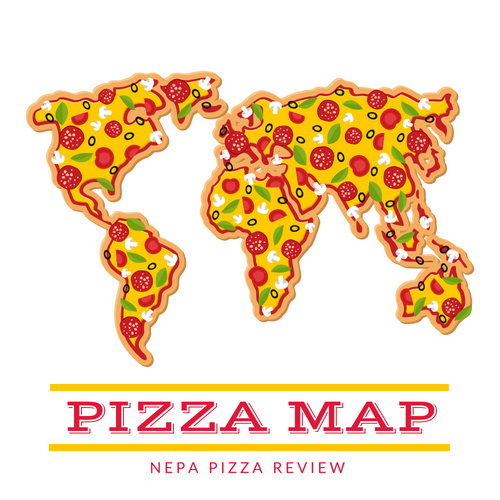 When I took my first bite, I immediately ranked this in my top 25 (non-pizza) foods in NEPA. I also quickly pondered why the puccias didn't get the same regional recognition as say Coney Island Texas Weiners, Manning's Ice Cream, Bingham's Pies, or Jones' Potato Pancakes. What a unique and amazing dish that is no doubt known by many, but in my estimation, not on quite a regional scale. I hope this article leads more people to giving it a try, but let me tell you about this specific puccia. The crust was very light, thin, flaky and flavorful sort of like a Greek filo dough. Beneath the top crust were layers of ham, salami, provolone cheese, onions, and sliced tomatoes. This blend of ingredients can typically be found on an Italian hoagie, but a hoagie can't produce the same experience. The textures were so incredible with the meat and tomatoes being so tender and cooked perfectly. 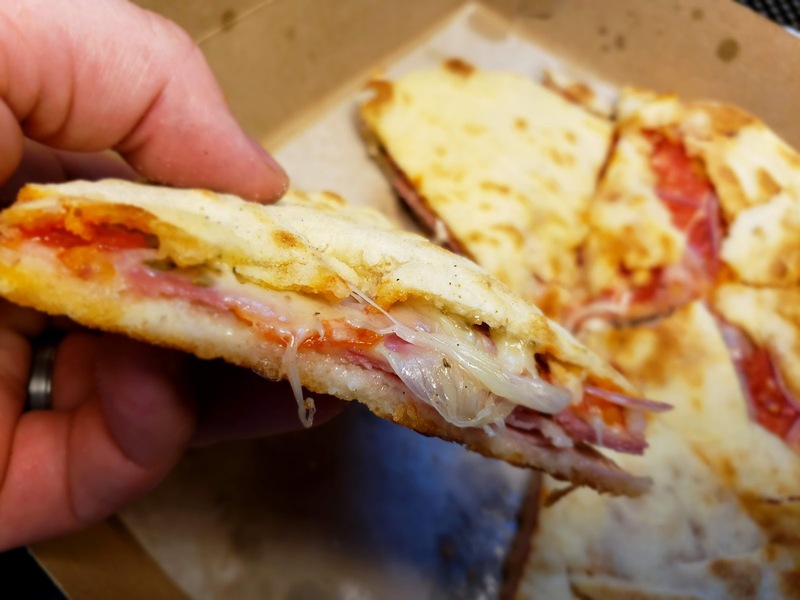 There was just enough cheese to hold everything together and create a gooey and delicious combination that worked together in perfect harmony. The elegance of this puccia was in its simplicity and perfect proportions of ingredients. I figured since I tried the puccia within minutes of it leaving the oven I had experienced it at its pinnacle of quality, but I was wrong. I reheated half of the flatbread pastry using the frying pan method the next day and it was every bit as good as it was fresh out of the oven. To recap, I found the pizza to be pretty good, but would probably recommend getting a larger pizza than the personal or one of the numerous specialty pies. The la puccia was truly on of those "a-ha" food moments for me. One of those moments that I knew I was experiencing something special and made me reset the benchmark for all foods stored in my memory bank and those I have yet to try. That's really the highest compliment this foodie can give a food and I'll leave it to share your thoughts on Mariano's La Puccia in the comments!